I'm joining my friend, Miss DeCarbo for her Wordless Wednesday. If you have never done it- you should link up. I am sad that all my posts are stinking school related, but it is that time of summer!!! Today I am asking about your communication that goes home to parents? In first grade, I only do a folder that has a behavior calendar inside. It has a bring right back side and a leave at home side. That is it. We have a Thursday folder that goes home each Thursday that any and all communication from the office goes in. I am not responsible to send anything home except on Thursdays, and I have a parent send stuff them. I know many of you do DOT folders, or BEE binders etc. If you are a primary teacher, what goes in this? I just don't have enough to put into a big binder to warrant sending something that heavy, but I am curious about them and wonder if this is a bandwagon that I need to hop on. So my question, what do you use for your students to communicate home? Is it simple or complex? Wow, you got it out right after midnight here. Guess I'm still up from coffee. Nice job. I have my students take home all of their work on Mondays, this way I have time to have everything updated over the weekend. Most of our newsletters, and announcements, go home electronically so we don't have to worry about paper copies going home. My kids bring an expandable folder back and forth every day though, and there is a home section in there. If I need something to go back and forth that is where it goes. We use a Thursday folder as well. I used the big binders one year but I felt like I didn't have enough to warrant sending them home every night. I also utilize the phone in my classroom lol! We have take home folders. They are Nicky's folders so they hold up pretty well. 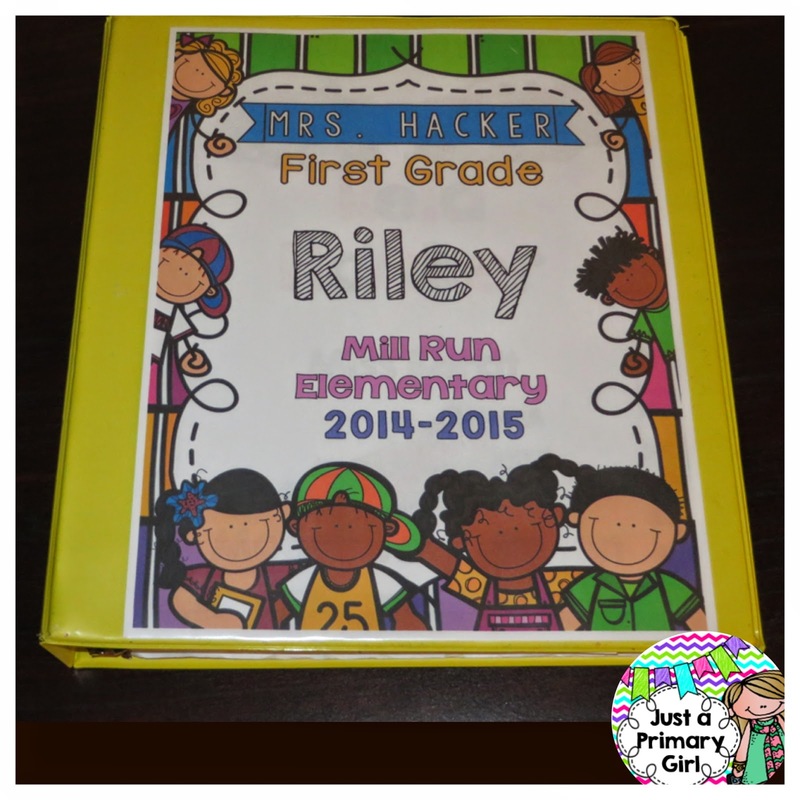 It has clear pocket on the front and back to put in inserts (I do a cute one such as the one that you have) in the front pocket, then each week the kiddos put the newsletter/homework calendar in the back pocket. On the inside we have a return to school and keep at home pocket. The kiddos in my room have a mailbox and part of our afternoon business is to get their mail and pack up their folder. It goes home every night and comes back every day. Pretty simple. 4. A class list so when parties arrive the parents have it. 5. A 1 sheet mini word wall. 6. The pockets are for keep at home or return to school. I will email you any of it if you are interested. I don't use the binder anymore as much as the poly folders. They are less bulky. The only thing that goes home hardcopy anymore is student work. All other communication is done via email, texts, blog, or phone alerts. Newsletters are mailed as well once a month. I've had luck with daily folders with some groups and other times just Thursday folders once a week. I make my snack calendar and behavior chart all in one. I let parents know I'm available by texts, emails, notes and a weekly newsletter. I tried doing a BEE Notebook last year but I found it incredibly difficult to keep up. There was just too much for me to keep track of and I kept forgetting to send things home. So this year I am going back to Take Home Folders. I am still trying to figure out a way to communicate effectively with my parents. I would love to know what you decide on. We use Nicky's plastic folders as well. I send a weekly newsletter home on Mondays. I use Remind 101 and e-mail as much as possible for quick reminders. My kiddos (kindergarten) are responsible for writing their own behavior notes (to the best of their ability) for colors below "green" on our school-wide behavior system. I started it mid-year last year and they DID NOT want to write those notes...I found that it cut down on behavior issues too. Win-win!